I have always been fascinated with the indigenous people of Scandinavia, the Samí. Today I have many Samí friends and recently I went to Jokkmokk and the best Samí museum on earth, Attje, and it made me even more impressed with the ways of the Samí. They´re not having it easy in Sweden, something I learned from doing research for a series about the Samí my freind Olly Steeds did a few years back. (See it here!) The Swedish governments treatment of their own native people is a disgrace. Sweden has always been a country telling other countries how to treat their own people, but doesn´t give their own indigenous people all the rights they should have as a native group. This is very Swedish. Telling others what to do, but not having a clear conscience themselves. Too many know-it-all in this country! Therefore I am happy to introduce a new friend of mine, Moki Kokoris, who will supply this meager site what great content and her first article is about the Samí! Despite its perception by outsiders as a barren and inhospitable wilderness, and depending on how the boundaries of the region are defined, the Arctic is home to approximately 4 million inhabitants – roughly one tenth of which consists of a diverse number of indigenous peoples spread across the Arctic territories of Alaska, Canada, Greenland, northern Scandinavia and Siberia. 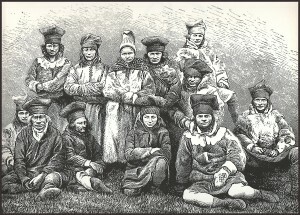 In Alaska, these peoples are known as Iñupiaq and Yup’ik Inuit, Alutiq (Aleuts) and Athapaskans; across Canada, Nunavut and Greenland, they are Inuit; in Scandinavia, the native people are the Saami; while in Siberia, there are as many as 40 different ethnic groups, the Nenets, Yakuts, Chukchis and Dolgans among those. 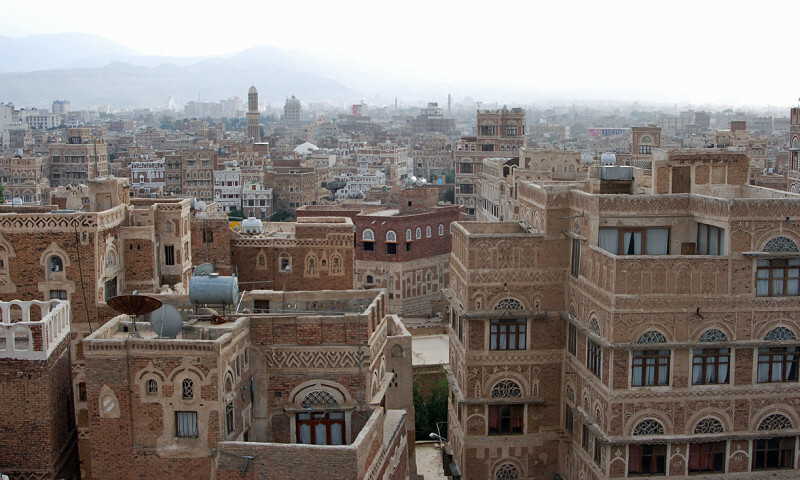 In general, the region is sparsely populated, with densities averaging fewer than 1 person per square mile. 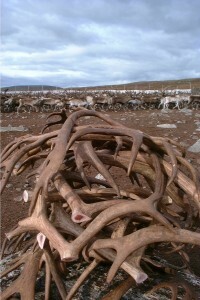 In spite of tremendous social, demographic, and technological changes in modern times, Arctic cultures nevertheless remain vital and resilient, with many small nomadic communities that are closely linked to native wildlife and local natural resources still continuing to follow a traditional way of life. 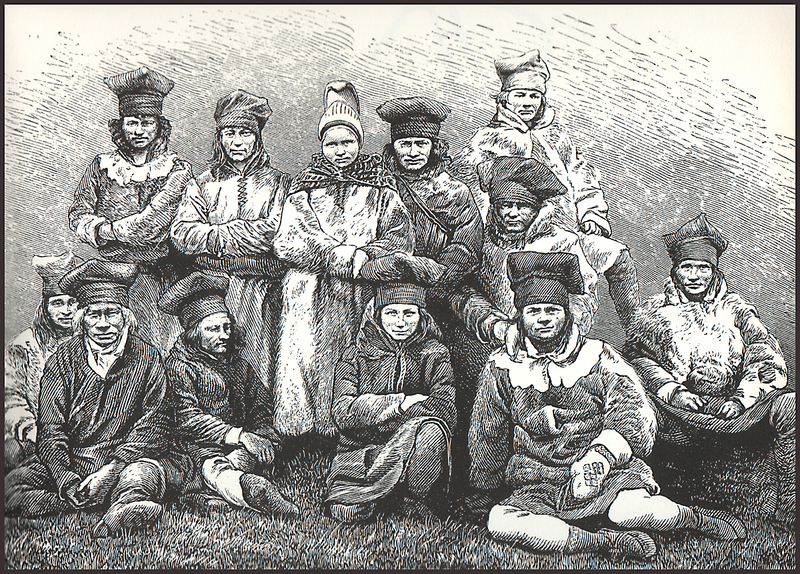 In this first installment in a series of articles about the indigenous peoples of the Far North, we shall concentrate on the Saamis who have inhabited the northern regions of Fenno-Scandinavia and Russia for at least 2500 years. With the exception of the groups that settled near the coasts, the Saamis generally lead a semi-nomadic or nomadic lifestyle determined by the migrations of the reindeer. 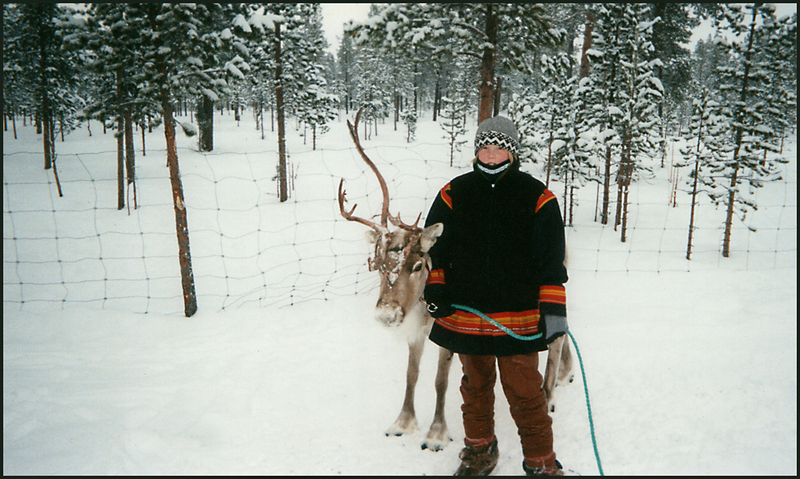 Lapland, more currently referred to as Finnmark or Sápmi, is not a country but a region that stretches across the borders of Sweden, Norway, Finland and northern Russia. From the times of the Greek explorer, Pytheas, who first mentioned it in 300 B.C., this area of land had been given many names, most of which were strange to the Saamis. These included Thule, Ultima Thule, Fennia, Scritfinnia, Finnamarchia and Lappia. 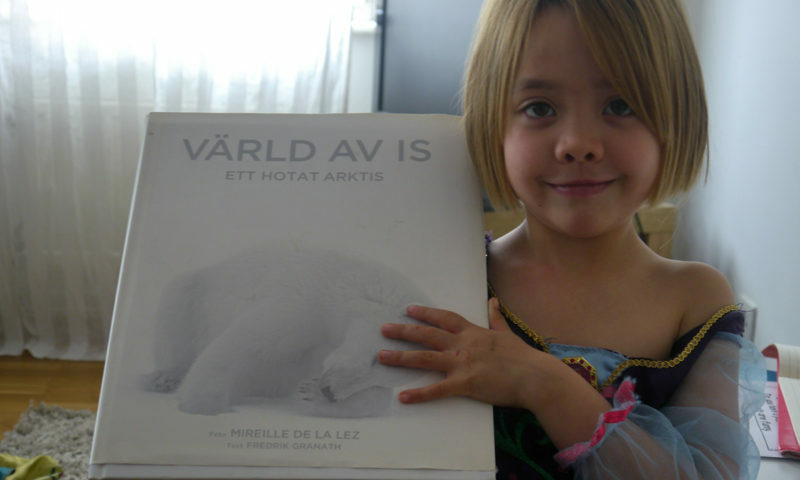 Today, the Saami people themselves use the word Sápmi. Since the earliest years of the Christian era, wondrous rumors of a barbaric people in the farthest North spread as far as Rome. In 98 A.D. Tacitus chronicled that far beyond the Germanic tribes lived the Fenni who had no possessions and were completely wild. They had neither horses nor houses, they were clad in animal hides, they did not cultivate the land but ate only what they could find growing wild, and their beds were the bare ground. 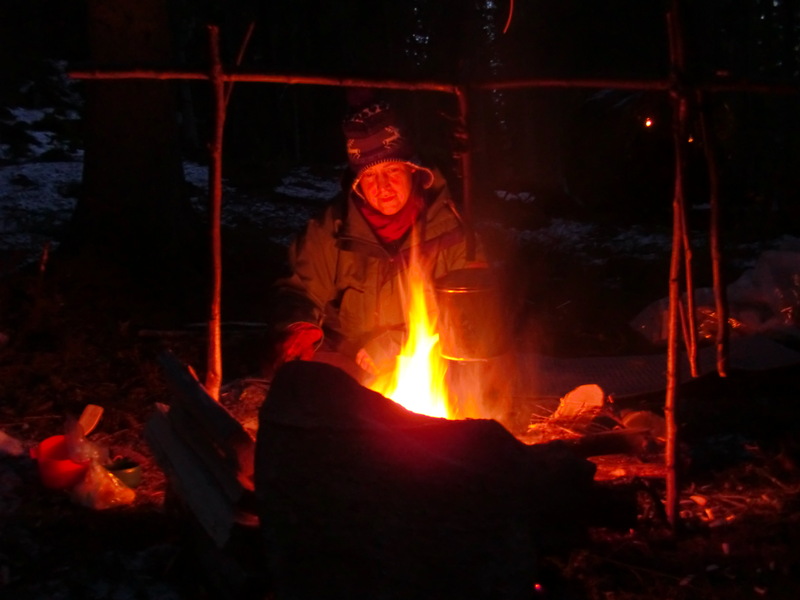 Their only protection against wild beasts and weather was a primitive hut made of sticks and skins. They had no iron, and instead tipped their arrows with bone. Thus armed, they went hunting, and women hunted with the men and took their share of the kill. Later ethnographical and archeological field investigation proved that much of what appeared fantastic to the readers of the ancient writers had some basis in truth, and facts about what had been for a primitive people in this Hyperborean land an existence governed by practical necessity gradually emerged from the world of fable and myth into the light of history. Although their territory is intersected by four national boundaries, most Saamis speak the same basic Finno-Ugrian language with up to fifty dialects spread over the wide area. Their costumes are also similar throughout a large part of the region with distinct variations mainly in ornamentation and embroidery and hats, which by their patterns and shapes indicate the specific area they are from and even the individual’s marital status. 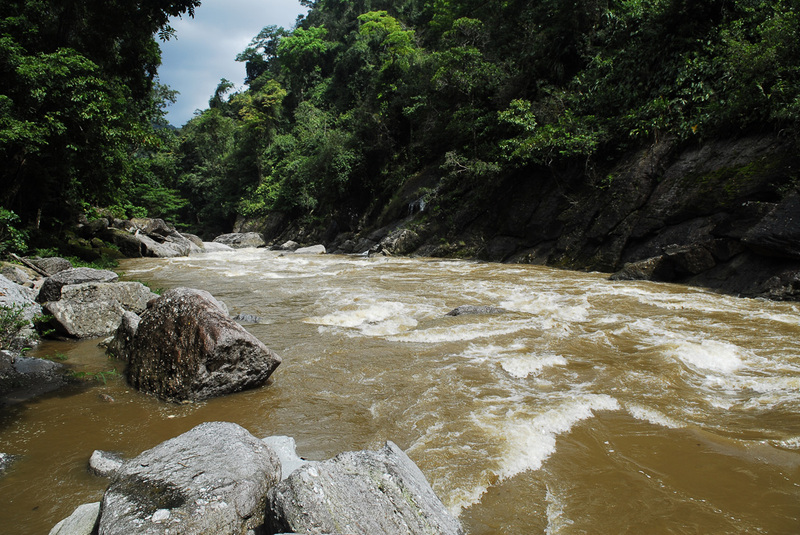 By and large, the Saamis are divided into three groups according to their occupation and location: the coast-Saamis, the forest-Saamis and the mountain-Saamis. The coastal group is the most numerous and has never been known for reindeer breeding, choosing instead to settle in turf-huts along the shores of the Arctic Ocean. They are trappers and fishermen, boat builders and skilled weavers. 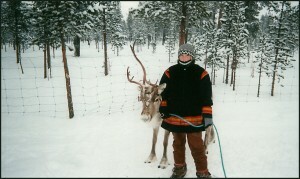 The forest-Saamis are regarded as half-nomads, basing their existence on the forest reindeer which remain in the forests throughout the year, moving to higher ground only in the summer. These Saamis migrate between permanent timber huts and their winter camps where they live in tents. 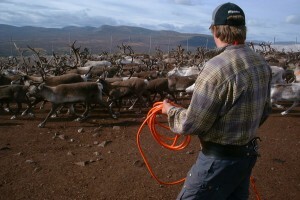 The mountain-Saamis, who are regarded as being wholly nomadic follow their reindeer herds between the forests of the Gulf of Bothnia in the winter, the eastern foothills of the mountain range in spring and autumn, and the higher mountains of the northern sea coasts in the summer – all in a regular, annual rhythm. 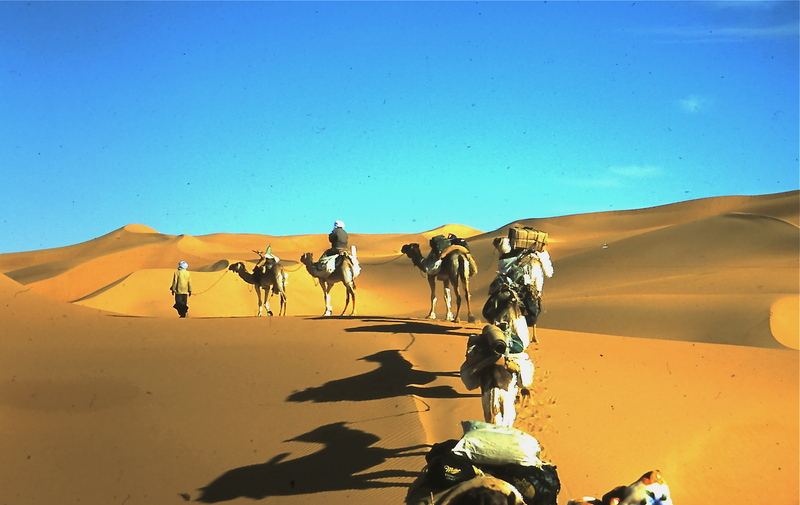 They live in relatively easily transported nomad tents through the entire year. 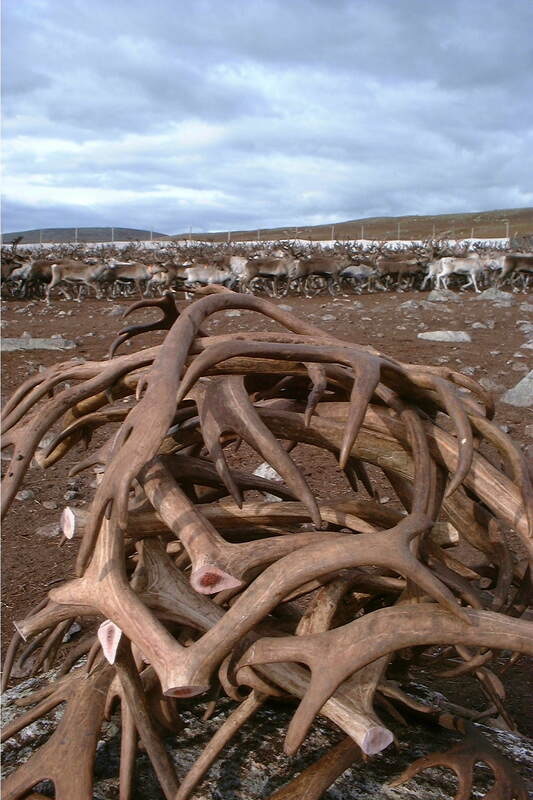 As can be expected, the Saami diet depends highly on which group they belong to, but consists predominantly of reindeer meat, reindeer milk, butter and cheese, fish, and various native berries. Grains and other items that cannot be cultivated are purchased at regional markets a few times a year. 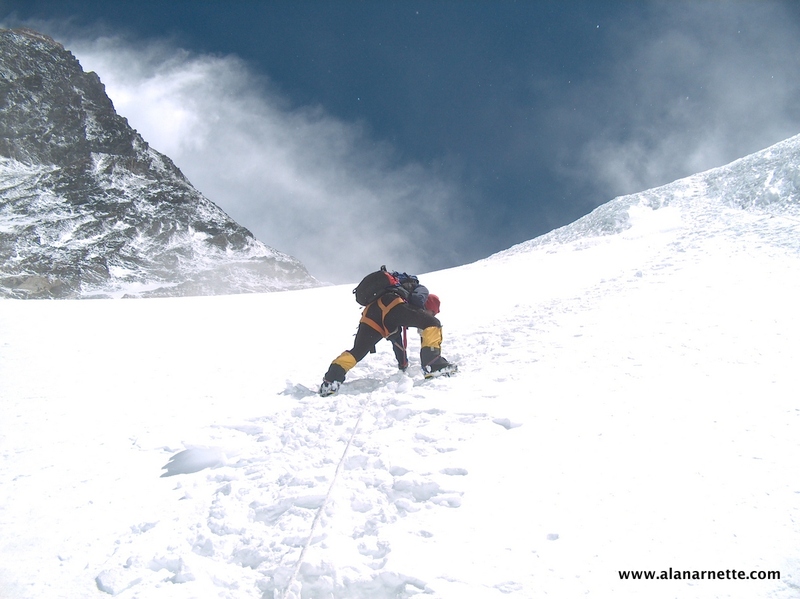 One such staple that few Saamis can live without is…. coffee! Coffee has had a long-established place in the lives of Saami folk for well over 100 years in most parts of Sápmi, and many customs fluorished around its use. The Saami people probably had their first experiences with coffee from sources in Sweden, where it had been first imported after 1680. By the early 1700s coffee houses were established in Stockholm, and it is believed that coffee finally reached Sápmi’s coastal communities by 1750. Customarily, coffee was prepared by the man of the household, perhaps because he was also responsible for the cooking of the meat. In the earliest years of its use, preparing coffee was, like the meat, a difficult task to prepare. By 1900, however, women had taken on the task and it became a companion duty to bread making. Early on, coffee beans were purchased in unroasted form. The roasting process required constant stirring of the beans over the heat so it was a time-consuming task to keep a supply at the rate that coffee was consumed – often three or four cups per person per sitting. Migratory folk roasted a large supply during the winter before leaving for winter pasture, and in summers roasted it as needed in smaller amounts. A large frying pan was the utensil of choice for the roasting process, and apparently from the very beginning, Saamis liked their coffee roasted strong, stirring it until the beans were appropriately coal black. Coffee was freshly ground for each pot, although herdsmen usually took along preground coffee. The earlier grinding was done with a stone on another flat or concave stone. Some grinding was done in a hollowed-out log using a stick as the pestle. Still a third method was to place the roasted beans in a skin bag and strike the bag with a stick until the grounds were suitably fine. 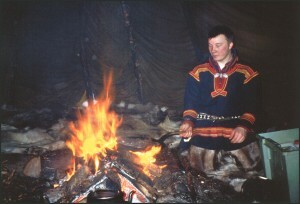 Early techniques for brewing coffee appear to be common across Sápmi, too, the process beginning by soaking the crudely ground beans in cold water which was then brought to a boil. After boiling, the pot was placed beside the fire to steep. As a result of the crude roasting and grinding methods, the brewed coffee was very murky and needed to be cleared before drinking. 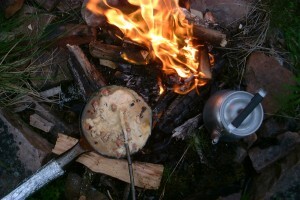 Clarifying coffee the Saami way required putting a dried pike skin into the pot. The slime from the fish skin picked up the floating grounds and carried them to the bottom of the pot as it sank. * When the coffee is ready, one must pour for oneself first or it will spoil the family’s best driving reindeer. * When cooking coffee, see to it that the coffee pot does not rock where it hangs, or surely you will rock away your belongings and end up in poverty. * When one throws the coffee grounds away, take care not to throw them outward but towards oneself. Coffee grounds, bones and other waste must be thrown towards oneself or there is a risk of throwing away happiness. * If there is foam on the coffee, the direction in which it floats will show who the recipient of money or a gift will be. If the drinker is alone and the foam floats away, it is an indication that the drinker will have many debts. * If one spills coffee, guests will arrive who are thirsty for coffee. If coffee is spilled twice, count on receiving intoxicated guests. * When the coffee pot hanging over the fire turns by itself and there is an unmarried boy or girl present, he or she will marry the first guest of the opposite gender. * If an unmarried person receives a refill before the first cup is entirely finished, one risks getting a nasty mother-in-law. 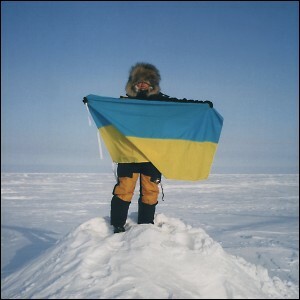 Moki Kokoris – Wilderness Research Foundation Director, is the first woman of Ukrainian descent to reach the geographic North Pole (2003), and the founder of “90-north” — a 2007-2009 International Polar Year sanctioned multidisciplinary outreach educational program offered to students and teachers studying issues and topics relating to Arctic and sub-Arctic regions. She is the Arctic Editor of the Polar Times, the journal of the American Polar Society, and has recently been invited to contribute articles to the World Ecology Report – Promoting Health and Environmental Literacy, published by World Information Transfer. Ms. Kokoris holds the position of Main Representative for the World Federation of Ukrainian Women’s Organizations NGO in consultative status with the UN Department of Public Information. In that capacity, she is invited to attend United Nations Permanent Forum on Indigenous Peoples Issues conferences, specifically sessions with group representatives of the Arctic Council, the Inuit Circumpolar Council, and the Arctic Council Indigenous Peoples Secretariat (IPS) that includes organizations from Alaska, Canada, Nunavut, Nunavik, Greenland, Scandinavia and Siberia. Ms. Kokoris acted as liaison to facilitate the screening of an Inuit film at the International Conference on Health & Environment: Global Partners for Global Solutions, held at the United Nations. This involvement earned her an invitation to act as UN/ECOSOC representative for the World Information Transfer NGO in general status with the United Nations Economic and Social Council.